This is one of the better robot stories for all that it’s the earliest and Asimov’s style here is distinctly primitive. 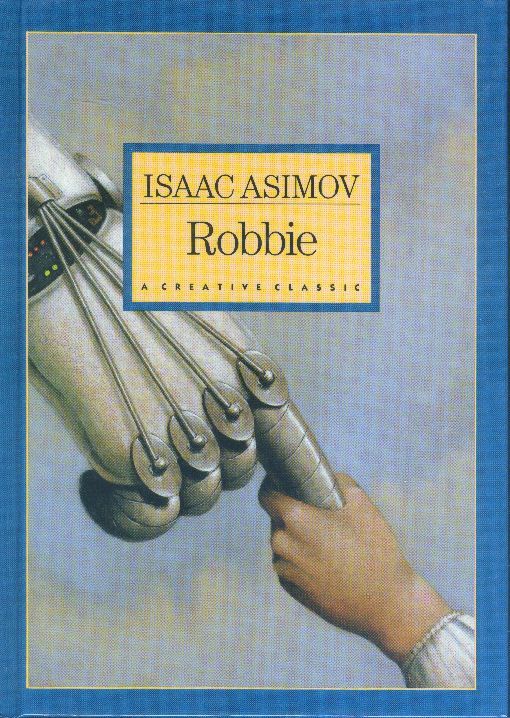 The idea is interesting and story cute and simple—it’s entirely appropriate that among the various Asimov stories individually published for young readers is this one. The illustrations are nice, too, in this edition, if unspectacular—rather better, I think, than the illustrations for this story in the hardback edition of The Asimov Chronicles. Particularly, of course, important is the fact that Robbie is a sympathetic robot from the beginning, engineered with safeguards to keep him from running amuck and killing his creators. But that’s a side issue. This is a charming tale, entirely appropriate for younger readers in a nice (if a little pricey) edition.